This is one of the most severe cases of corporate-related human rights abuse (and financier negligence) in the past decade. The International Financial Corporation (IFC), the World Bank group’s private lending arm, provided loans to Honduran millionaire Miguel Facussé’s palm oil businesses even though, at the time, there were widespread allegations that his company, Dinant, employed hitmen, military forces, and private security guards to intimidate and kill local farmers in the Bajo Aguan who had contested Facussé’s claims to the land. The IFC (with US taxpayer money) financed Dinant’s campaign of terror and dispossession against Honduran farmers. The IFC’s own internal watchdog, the CAO, found that IFC failed to adhere to its own policies to protect local communities, and continued to allow the company to breach those safeguards and either failed to spot or deliberately ignored the serious social, political and human rights context in which this company is operating. The result of IFC’s support was an explosion of extreme violence by public and private security forces against the Honduran farmers, their movement leaders, and lawyers representing them in land rights cases. Over 100 farmers have been killed in the Bajo Aguan since November 2009 when the IFC disbursed the first half of a $30 million loan to Dinant; and the number of killings continues to grow today. So too has IFC’s support of Dinant; even after the IFC’s internal watchdog scolded IFC for the 2009 loan, IFC continued supporting Dinant via an opaque system of financial intermediaries. It is no secret that Honduras has become the most dangerous place on earth, especially for earth rights defenders resisting dams, logging, and agricultural projects on their lands. We all remember the murder of Berta Caceres, who was protecting her community from a dam project, just over a year ago. It’s no different for the farmers in the Bajo Aguan. The Bajo Aguan region of Honduras is home to large-scale palm oil production, but it wasn’t always. Before a series of World Bank sponsored land “reforms” in the 1990s, the land was farmed and owned by small cooperatives. Farmers had come to the Aguan at the invitation of the Honduran government – they cleared forests, prepared the land for cultivation and were given collective title in exchange for that work. But things changed when the World Bank thought there was more money to be made from those lands. The Bank encouraged the Honduran government to weaken and permit the alienation of collective title, and to enable privatization of that land. In the years that followed, land-grabbing and terror have swept across the Aguan. More than a dozen campesinos (farmers) in the Bajo Aguán region of Honduras who have been shot, killed and/or otherwise terrorized by Dinant and those working on its behalf. Since the 1970s, Honduran farmers in the Bajo Aguán have farmed small parcels of land. Facusse coveted this land, and in the 1990s he began trying to acquire large swaths of it for his palm oil businesses – including Dinant. Local farmers allege that Facusse used fraud, coercion and even outright violence to dispossess them of the land they had long worked. Despite public allegations to this effect, the IFC has channeled millions of dollars to Facusse and his Dinant corporation, even as scores of farmers speaking out against Facusse and Dinant were violently murdered in the Aguan. International Financial Corporation (IFC) and its opaque financial intermediary, the IFC-AMC. The International Financial Corporation (IFC) is part of the World Bank Group, and lends to private businesses throughout the world. 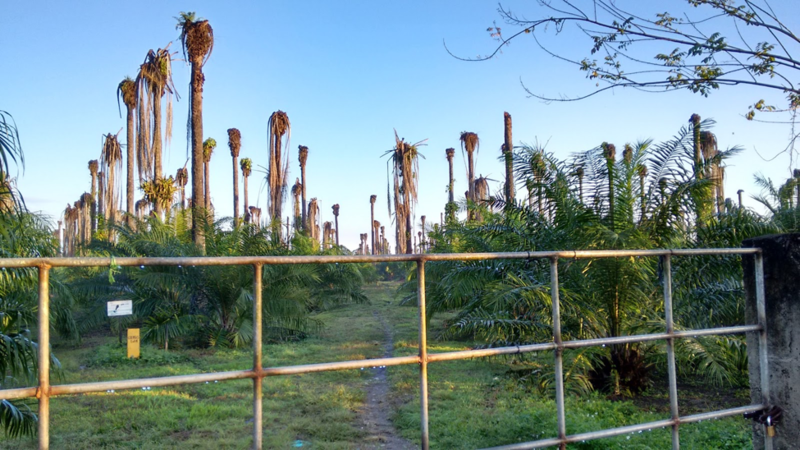 The IFC has been involved in palm oil cultivation in Honduras since at least 1997, when it loaned $55 million to Cressida Corporation, a precursor to Dinant. The IFC didn’t stop there. In November 2009, the IFC gave $15 million to Dinant despite the rapidly deteriorating social and political climate and the tensions over land ownership in the region. And even when IFC could not deny that it was undisputedly backing a company responsible for deaths in the Bajo Aguan, IFC continued to fund and support Dinant, including through its financial intermediary, IFC-AMC. EarthRights International filed the case with the support of several other human rights lawyers, including: Jonathan Kaufman, Judith Brown Chomsky, and Lauren Carasik. The Cressida Investment: In 1997, the IFC made a $55 million Investment into the Cressida Corporation – a predecessor of Dinant. The investment included a $45 million loan and a $10 million equity stake. The IFC’s loan was repaid in 2001 when Facusse sold Cressida to Unilever. The IFC also made a substantial profit on their equity position on the sale to Unilever. The complaint alleges that between 1997 and 2001, Cressida and Facusse acquired palm holdings in the Aguan through force, fraud and coercion. Facusse kept those holdings, which became part of Dinant. The IFC approved a $30 million Dinant Loan to facilitate Dinant’s young palm production. The loan included two $15 million installments, the first of which the IFC paid out in November 2009. Among other things, the IFC made the $15 million payment after a destabilizing coup d’état and with actual knowledge that there were ongoing land disputes involving Dinant’s properties in the Aguan. The IFC has delayed the second $15 million payment, but has not cancelled the loan or exercised any contractual rights it might have to force Dinant to stop terrorizing the people of the Aguan. In 2011, IFC (IFC-AMC) made a massive $70 million investment and a 10% ownership stake in the Honduran bank, Banco Ficohsa. 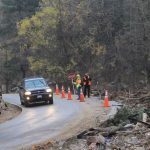 For years, Ficohsa has been one of Dinant’s largest creditors, if not its largest; it has provided tens if not hundreds of millions of dollars to Dinant. Between 2011 and 2014, Ficohsa lent around $40 million to Dinant. The Defendants knew that Ficohsa had and would continue to have massive exposure to Dinant, and enabled that lending. In order to receive IFC money, under IFC policies, Ficohsa should have reduced its Dinant investments. But, instead of requiring that divestment – and even though Dinant was on an IFC Watch List – IFC staff waived their own policies for Ficohsa’s loans to Dinant. The IFC enabled Ficohsa’s lending to Dinant through loan guarantees. This means that the IFC guaranteed short-term loans (worth more than $5 million) from Ficohsa to Dinant through its Global Trade Finance Program. IFC knew that its guarantees enabled Ficohsa’s lending to Dinant, knew that Dinant was implicated in gross human rights abuses, but approved the transactions regardless. The CAO released an audit of the Dinant Loan and found that IFC flagrantly violated its own policies at every stage of the loan, including its appraisal, pay-out and continuing supervision. On March 8th, we file a federal lawsuit in Washington DC on behalf of Honduran farmers charging two World Bank Group members with aiding and abetting gross violations of human rights. The Honduran farmers requested permission of the court to file their complaint under Doe pseudonyms as a safety measure given the high risks they face. Their Motion to Proceed Under Pseudonym was granted the following day. In October, the Honduran plaintiffs withdrew their suit (via a “voluntary dismissal without prejudice”) from the court in the District of Columbia and refiled their claims against Defendant IFC-AMC in the District of Delaware (where IFC-AMC is incorporated). In November, defendant IFC-AMC filed a motion to set a briefing schedule in which they asked the court to allow them to brief the issue of a proposed transfer back to the District of Columbia before responding to Plaintiffs’ lawsuit. The Plaintiffs opposed this motion on November 22. The parties are currently waiting on the Delaware District Court to decide the order in which the issues will be briefed. In February, defendant IFC-AMC filed a motion to dismiss. In June, the district court ordered the case stayed while the U.S. Supreme Court considers issue of whether the IFC has legal immunity in the Jam v. International Finance Corporation case. The legal issue of whether International Organizations like the IFC and its opaque financial intermediary can rightly claim immunity from suit even when they aid and abet murder and violence against the communities they purport to protect and serve. The IFC’s internal watchdog, the Compliance Advisor Ombudsman (CAO)’s scathing report. Report of Annie Bird, an advocate for the farmers, who has meticulously documented the violence against farmers in the Bajo Aguan.